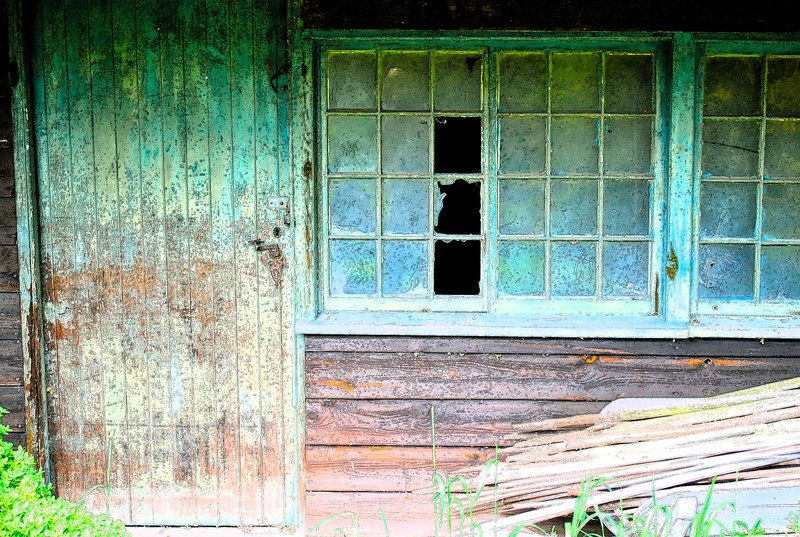 Have you ever wondered if your perception of colour changes through your life span? Well the answer is yes it does. Red is the first colour recognised by babies and toddlers are most attracted to both red and blue – important if you are designing products for the young. But as we mature into old age our eye’s lens tends to “yellow” and our pupil size shrinks which results in colours looking dimmer and slightly brownish. Also, most of our lives we see colour before form but mature eyes begin to see form before colour (although creatives often continue to see colour first). Colours with short wavelengths such as blue are particularly difficult for older people to discriminate. Designers therefore need to pay attention to tonal contrast rather than colour contrast when designing for the elderly. 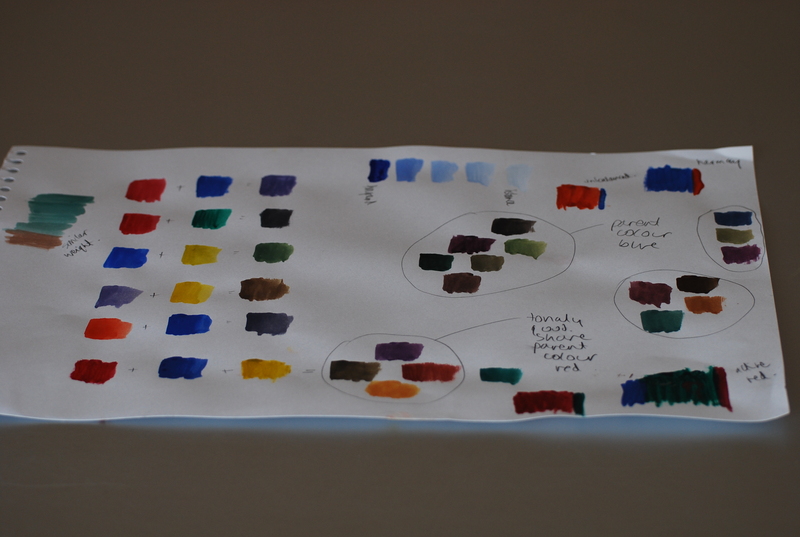 We know that opposite colours on the colour wheel (e.g red and green) have excellent colour contrast but they often don’t have much tonal contrast. The easiest way to see if something has good tonal contrast is to convert an image into black and white. 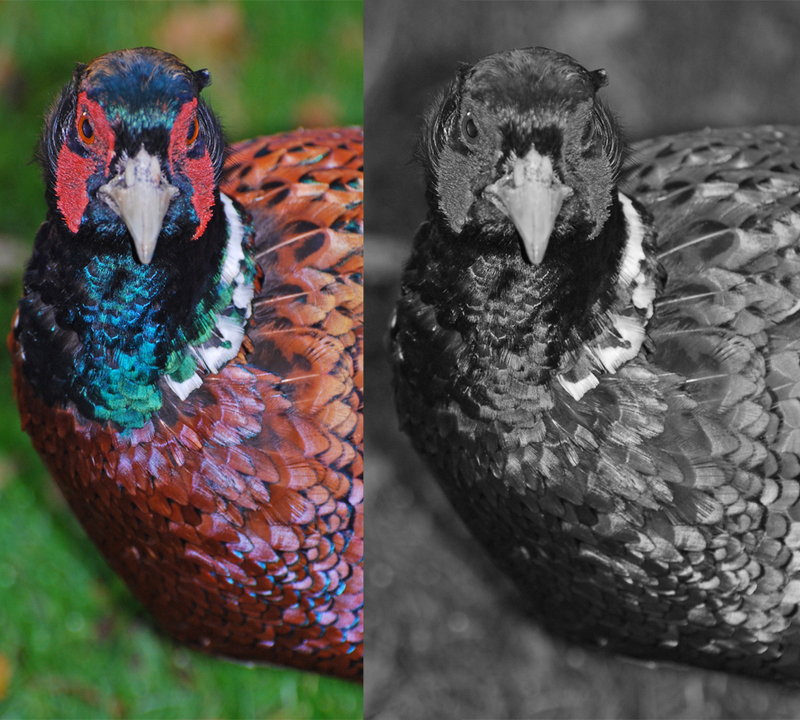 Look at the pheasant- the coloured image shows excellent colour contrast (complimentary, eye-popping colours of red and green) but convert it into black and white and you will see very little contrast at all. So if older eyes don’t pick up colour contrasts easily, it is important to create tonal contrasts and choose colours with high LRV (light reflectance value) levels to maximise the amount of light that enters the eye. 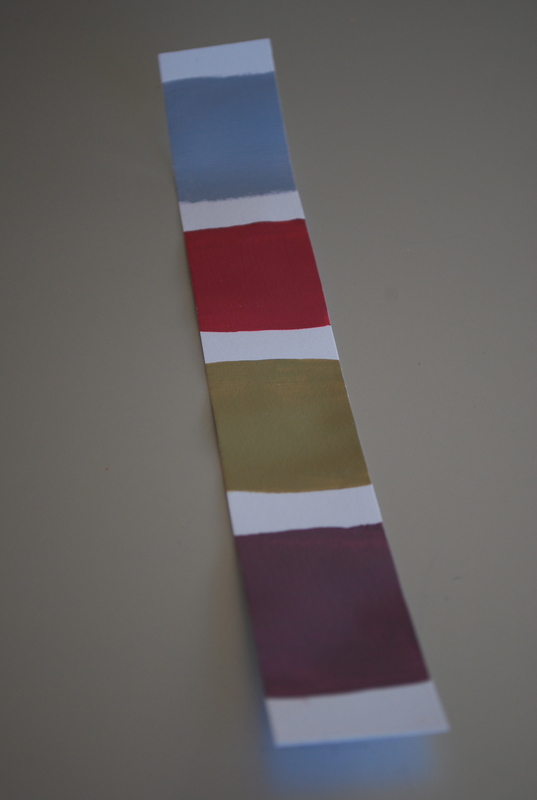 The NCS colour system is able to give percise LRV readings for all their 1,950 standard colours – a necessity because as you can see it’s not as easy to check for tonal contrast as it is for colour contrast. 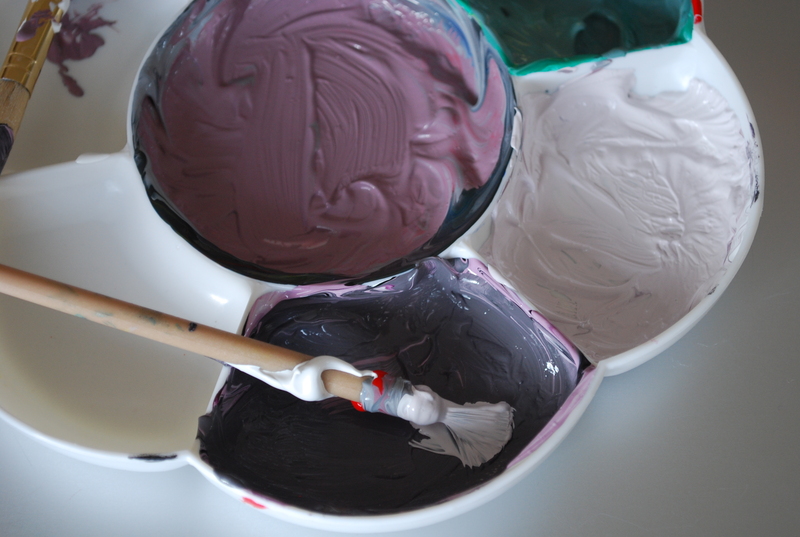 If you are colour obsessed, you will already know that it can be a fairly exhausting attribute. Gone are the days where you can take a walk with barely a thought in your head. You will be unable to stop yourself from constantly analysing colours and you will be calculating how much green is in the yellow of a petal you just spotted. Sound familiar? 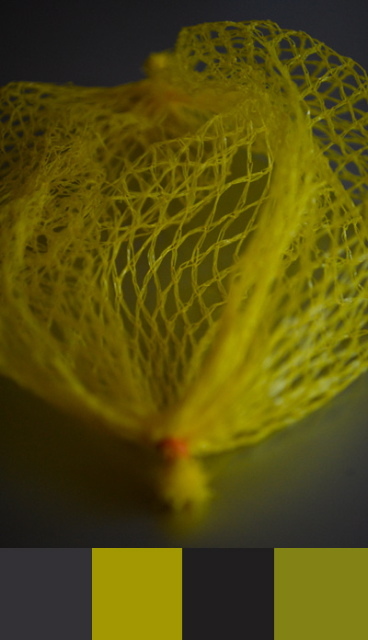 Well today, Scotland has woken up to the most glorious sunshine and I intend to get out and catch some photos showing some interesting colours but first I must tell you when I was chopping some lemons for breakfast, I couldn’t help but notice the discarded net on the dining table made a great zesty colour palette…..
Now, if you have ever wondered how to pick a set of interior colours that are all tonally compatible, lookout for my next post where I will be looking at a very easy way of achieving exactly that.